Sunday Meditation 09.27.15: Why do the nations rage, And the people plot a vain thing? In short, the heathen rage because they are heathen. That's what heathens do. The banded enemies are rebels, and the revolt is widespread; for the "kings of the earth" is a very comprehensive, if we may not even say a universal, expression. If taken in connection with "the uttermost parts of the earth" (verse 8), which are the King's rightful dominion, it implies a sweep of authority and a breadth of opposition quite beyond any recorded facts. Authorship and date must be left undetermined. The true basis of the psalm is not some petty revolt of subject tribes, even if such could be adduced, but Nathan's prophecy in II Samuel 7, which sets forth the dignity and dominion of the King of Israel as God's son and representative. The first three verses of Psalm 2 the conspiracy of banded rebels is set before us with extraordinary force. the singer does no delay to tell what he sees, but breaks into a question of astonished indignation as to what can be the cause of it all. Then, in a series of swift clauses, of which the vivid movement cannot be preserved in a translation, he lets us see what has moved him. 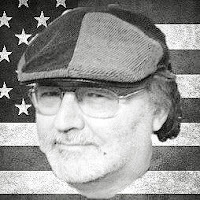 The masses of the "nations" are hurrying tumultuously to the mustering place; the "peoples" are meditating revolt, which is smitingly stigmatised in anticipation as "vanity." But it is no mere uprising of the common herd; "the kings of the earth" take their stand as in battle-array, and the men of mark and influence lay their heads together, pressing close to one another on the divan as they plot. All classes and orders are united in revolt, and hurry and eagerness mark their action and throb in the words. The rule against which revolt is directed is that of "Jehovah and His anointed." That is one rule, not to,--the dominion of Jehovah exercised through the Messiah. The psalmist has grasped firmly the conception that God's visible rule is wielded by Messiah, so that rebellion against one is rebellion against both. 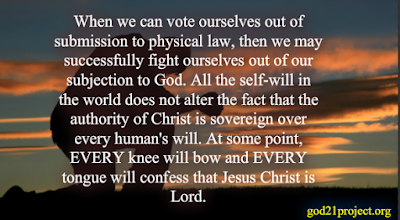 When we can vote ourselves out of submission to physical law, we may plot or fight ourselves out of the subjection to reign of Jehovah and His anointed. 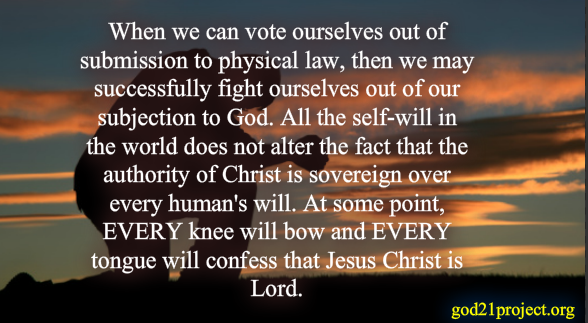 All the self-will in the world does not alter the fact that the authority of Christ is sovereign over human wills. We cannot get away from it; but we can either lovingly embrace it, and then it is our life, or we can set ourselves against it, like an obstinate ox planting its feet and standing stock-still, and then the goad is driven deep and draws blood. The metaphor of bands and cords is taken from the fastenings of the yoke on a draught bullock. One can scarcely miss the lovely contrast of this truculent exhortation to rebellion with the gracious summons "Take my yoke upon you and learn of me." The bands are already on or necks in a very real sense, for we are all under Christ's authority, and opposition is rebellion, not the effort to prevent a yoke being imposed, but to shake off the one already on.